September 3rd is Welsh Rarebit Day. What’s a Rarebit? Why is it Welsh? And isn’t it just a grilled cheese sandwich? Originally Welsh Rarebit was called Welsh Rabbit. But just as mock turtle soup is void of any turtle. Welsh Rabbit is void of any rabbit. That’s right, no rabbit. It appears that making fun of Whales and it’s inhabitants was all the rage in the 17th and 18th centuries. thus a Welsh pearl was one of poor quality, or fake, a Welsh comb meant you used your fingers). Welsh rabbit? Cheese was the poor mans rabbit. 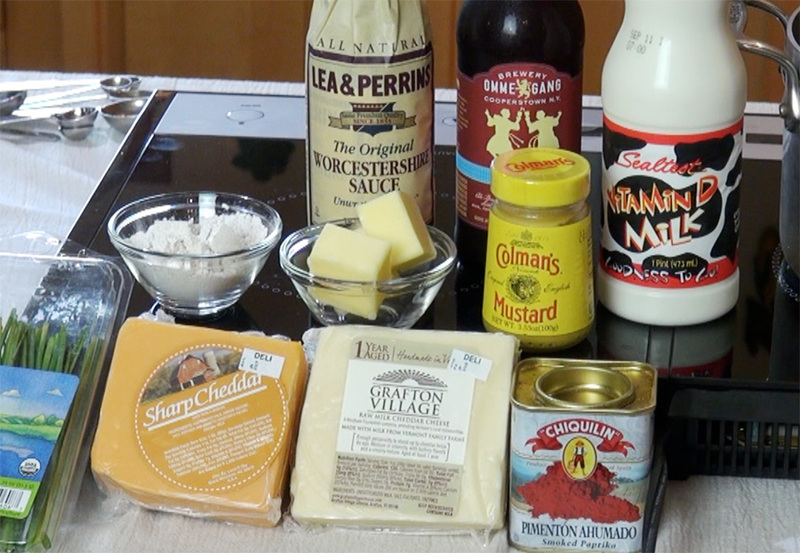 What one puts into the cheese sauce also accounts for all the varieties. Most start with a béchamel sauce as the base. You add the seasoning and the cheese to make a thick cheese sauce.I’m using Worcestershire sauce, mustard, smoked paprika and some dark ale. I had just watched a video that was shot in Whales. The Welsh man interviewed was a cheese maker and said the best cheese comes from raw milk. And there is was at Ingles, a Vermont Cheddar made with raw milk and aged one year. I also used another aged cheddar to give the sauce the color I was seeking. The bread I used was a Cheese Bread made at the Amish Bakery on the way to Cleveland GA. I like my sauce thick so the proportions I used to make the rarebit resulted in a very thick sauce. If you want a thinner sauce, cut back on the amount of roux you use or add additional milk and/or beer. 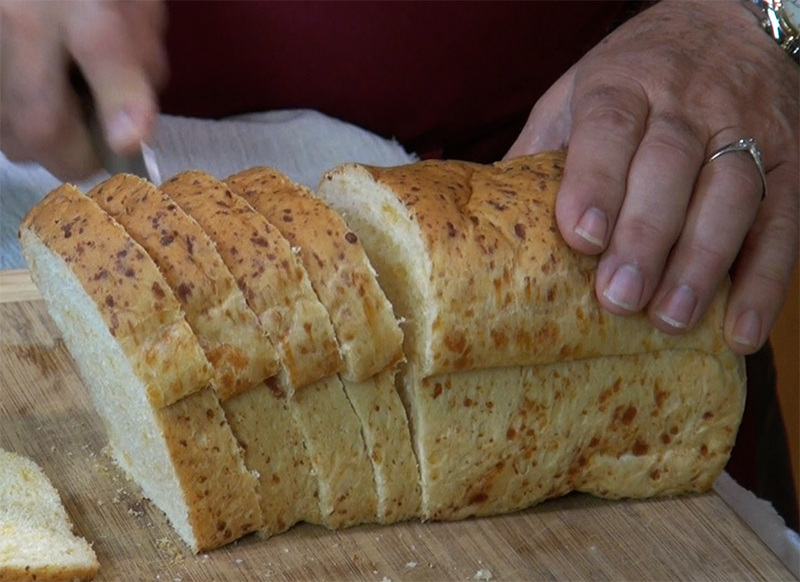 This recipe I’m using is enough for 8 single servings or 4 servings with 2 slices of bread. 1/2 to ¾ cup dark Belgian style beer. Melt 4 TBL butter in a saucepan over low heat. Sprinkle in 4 TBL flour and whisk together until combined. Cook over low heat for a couple of minutes to eliminate the flour taste. You don’t want to brown the roux. Slowly Pour in the milk whisking continually to make a smooth sauce. This is a basic béchamel sauce. At this point if you like spice you can add a couple of pinches of cayenne or favorite liquid hot sauce. Continue to add cheese until you get the desired thickness. At this time taste the sauce and see if you’ll need to add salt and/or pepper. cook for a couple of minutes or until smooth, melted, and very hot. Turn off the heat. If you’re going to use an egg yolk this is when you would whisk in the egg quickly. You don’t want to have a cooked egg yolk floating in your sauce. Redneck Rarebit Using the same directions above except you’ll use a homemade or quality local pimento cheese. 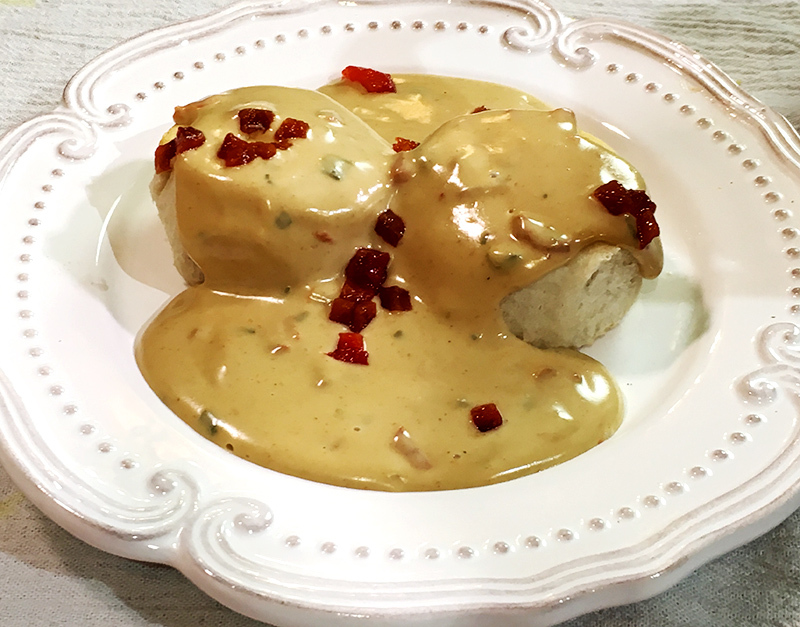 The sauce is poured over hot biscuits. I added additional fresh roasted red peppers to the sauce and sprinkled some on top for garnish. WOW this was amazing!